All the above point to a notable inflection in the economy. The boom has been going for nearly ten years since the crash, it may yet last another year or two, but housing is toppy. The UK Government is still in debt and still is running a deficit, even as private sector debt grows. 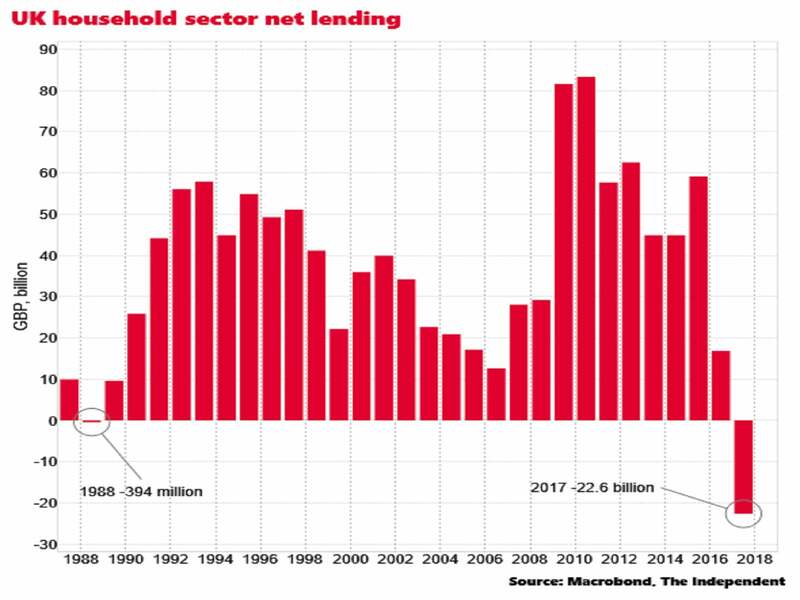 The corporate sector debt is the one area where there is room for expansion, but the doom-laden atmosphere around Brexit is really lowering investment by corporates. It's quite a task arranging life so that one has no credit or mortgage debt and is marginally in the black. It requires some big shifts. When does the ex-goldman sachs gofer bugger off back to Canada? And do we get a patriotic Englishman to replace him? Expect a second referendum and a Remain result - our people will bottle it. Had I known that Remainers were going to be put in charge of everything I would not have voted that day. "Toppy" - in London it is in full-scale retreat.